Whether you’re unfamiliar with Reiki Infinite Healer, looking for how to do Reiki on yourself, or are a seasoned Reiki Master in need of a refresher, this page is here to give you the foundational principles of Reiki Healing. Because — every healer needs some help from time to time along the path to mastery. There are just so many things to learn. This is a guide for YOUR journey. From Novice to Master, we’re all looking to get better — so we can experience the life changing gifts of Reiki. This is the same system used by Reiki founder Dr. Mikao Usui. Through this system I have not only experienced a profound improvement in my personal health and spiritual wellbeing, I have also witnessed remarkable changes in my patients and students over the years. You may be surprised to know that variants of this system have been used worldwide by Rishis, holy men, and healers for thousands of years. In fact, Christ, Krishna, and Buddha are all believed to have harnessed Reiki Energy. Everything in the universe is made up of vibrational energy. It is the blueprint for reality. This system works because it improves the underlying energetic makeup of your body, thus healing the root cause of your issues. We call it Lifeforce Energy Optimization, or LEO. This is your guide to changing your life for the better. The following diagram outlines the LEO system. Download a PDF version here so you can reference it as you begin your healing. 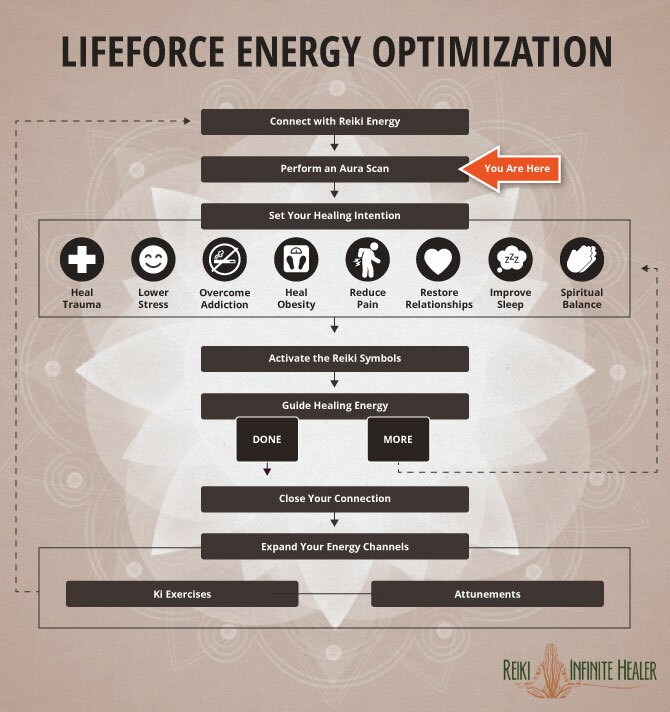 Just as your body is a system where all of the parts work together for the whole, Lifeforce Energy Optimization is also a system. 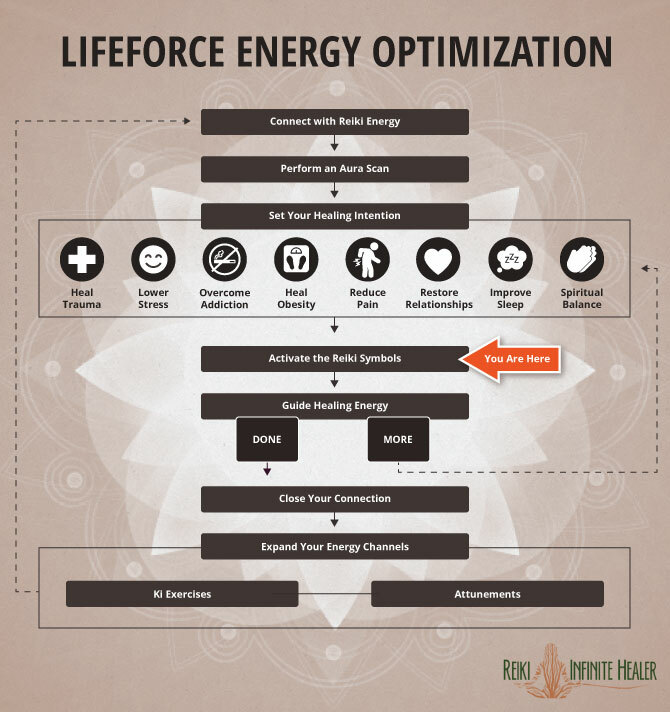 Learning how all of the parts work together to heal and restore is vital to your practice. Your first step to Reiki mastery is understanding that by choosing to focus on the whole system you invite grace into your healing process. You prevent barriers that can come from only understanding, say, Hand Positions, Chakra Balancing, or Crystal Healing by itself. 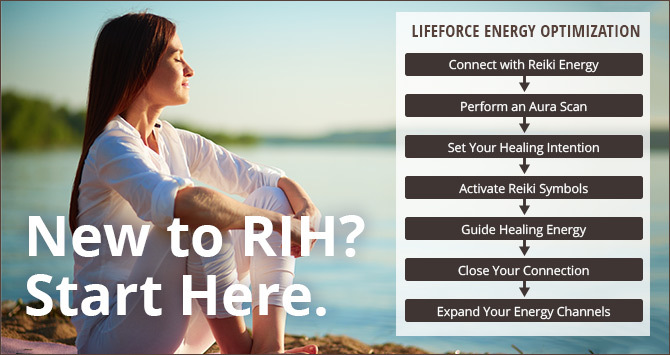 Lifeforce Energy is everywhere in the universe. It’s the building block of reality. Mystics and holy men have known this for thousands of years… and recently, scientists have discovered the existence of a Universal Energy field. As Reiki Healers, we tap into this infinite pool of energy and channel it to provide wondrous life changing benefits for ourselves and our patients. And tapping into energy is all about raising your consciousness to a higher level. You see, a true Reiki Master knows how to reach higher states of consciousness so she can be an effective conduit for Universal Energy. Those who have never been able to form a strong connection with energy may incorrectly believe they “don’t have the gift”. That is simply not true, I’ve seen this hundreds of times, and in every case the person was just not open to the higher levels of reality. Needless to say — being able to raise your consciousness is essential to your success as a Reiki Healer. There are many meditations and techniques for this but I’m going to share one of the most fundamental with you now. Universal Energy has a consciousness. With a calm and clear mind, ask it for permission to be used as a healing channel by speaking aloud or silently thinking your own personal invocation. It should be inline with your own beliefs and should focus on passing unconditional love and pure healing. “I call upon the Universal Energy, and all those who have worked with Reiki in the past, present and future to draw near and take part in this healing session. I ask that the power and wisdom of the Universal Energy permits me to become a channel for it’s unconditional love and healing, and may it’s infinite wisdom go exactly where it is needed most. As you can see, you’re asking the Universal Energy for it’s help and healing. By speaking this invocation you’re not focusing on yourself anymore. This isn’t about the healer. 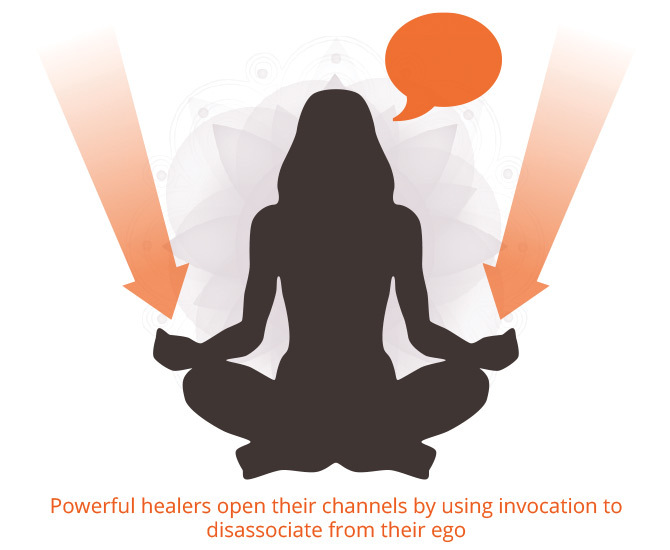 You have to disassociate from your own ego to raise your consciousness… so the Universal Energy can use you as a channel for it’s healing gifts. Do you see how you are giving up any claims to power? By acknowledging that you are simply a conduit for Universal Energy to flow, you are letting go of your ego and aligning your beliefs with a higher truth. It’s a powerful shift of focus. The reason visualization is such a powerful way to connect with energy is because it helps you focus your will…and since Universal Energy exists beyond the physical level of reality, you need to use your will to work with it. 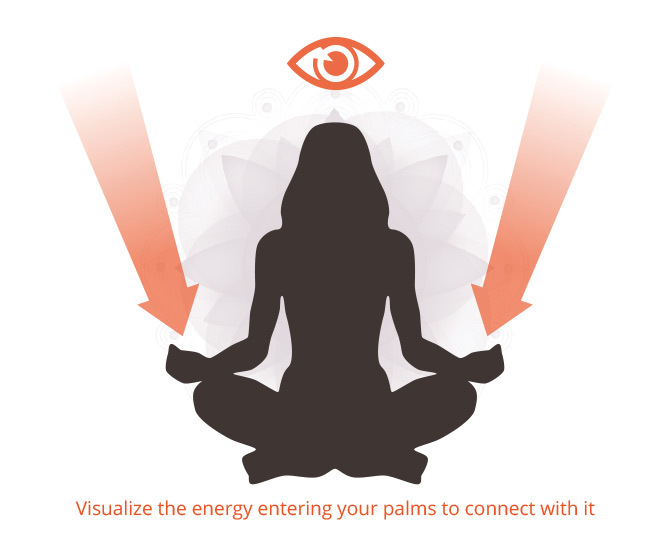 While there are any number of visualizations you could use to connect with Reiki Energy, I like to use one I call the “Infinite Light” visualization. Close your eyes and take a deep breath in. As you exhale, visualize beams of bluish-white energy surrounding you, stemming like threads from the ground and up through the skies. Feel yourself bathing in the energy from this infinite field of light all around you. Inhale deeply, and as you exhale concentrate on your palms, focusing your will on calling the energetic light around you into them. Visualize the light entering your body and flowing through it into your palms, causing them to glow with cool white energy. Feel your palms radiating Universal Energy. The key here is not about getting all the details right about what the energy looks like. Some people can see Universal Energy, and others cannot. For those that haven’t learned how yet, you should visualize how you feel or sense it appears using your intuition. The key is that by visualizing the connection taking place, you are focusing your will on making that connection happen… and as with all energy work, your thoughts and willpower are what cause reality to take shape. This may shock you but your body DOES NOT give off an Aura. An Aura is a type of Universal Energy that appears to surround objects and living things. However, this is just the way we perceive it. 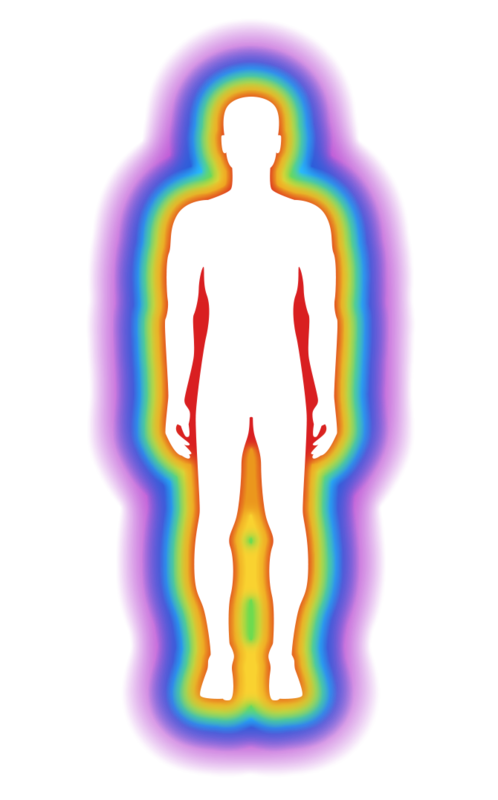 Your Aura is actually in and of you — and your body is an overlay on it. In other words, you are not giving off an Aura, your Aura is giving off you. Your Aura puts off and absorbs information. 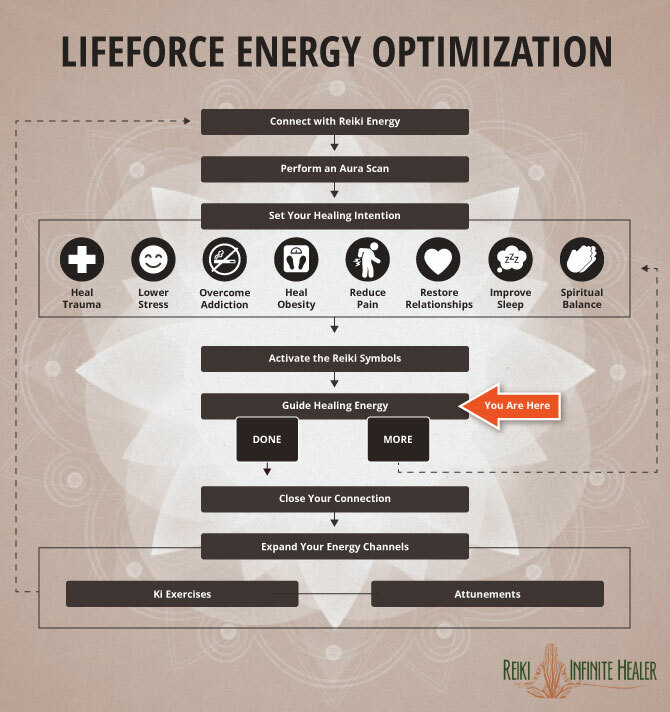 Think of it as a part of your energy system that can both transmit and receive signals. Your memories, thoughts, emotions, and experiences all exist inside your Aura and affect it’s health. Since your body is a physical projection of your Aura, your physical health is dependent on the health of your Aura. For example, if you think a certain negative thought often, it will start to show up in your Aura as a dark muddy blob, and then take shape as a physical symptom. Your Aura is giving off you. Pain, obesity, depression, relationship problems… these are all symptoms that manifest from your Aura. By scanning your Aura, or your patient’s Aura, you can tell what needs to be done to bring it back to a beneficial state — to heal the cause of your symptoms. Scanning your Aura is worthless if you don’t understand the LEO system. This is why you are lost. You have no map. You have no system. We can teach you to scan Auras using techniques like High Sensory Perception, or feeling with your hands, but first you need to understand the system. The goal, no matter which symptoms you are trying to heal, is to correct the body’s energy using the LEO system. 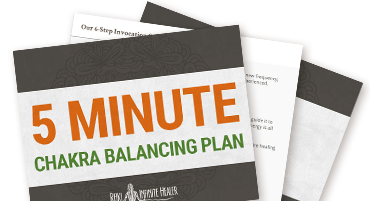 The next three sections (Set Your Healing Intention, Activate the Reiki Symbols, and Guide Healing Energy) show you how to heal the underlying energetic problems that cause physical symptoms. Your Healing Intention is the end result you would like to experience from your healing sessions, whether it be to mend an injury, have more positive emotional state, find balance in your life, or something else. You see — your intention is simply a message. It’s like when you send a text message to a friend. You are simply communicating something… but in this case, the message is received by the Aura of the person you are healing, whether that’s yourself or somebody else. 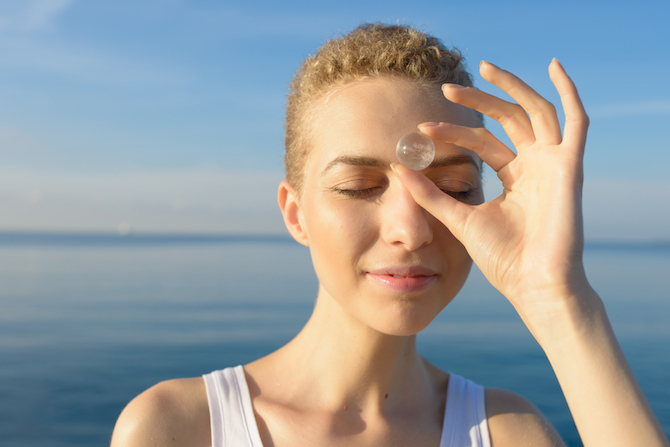 If the message is strong and clear, the Aura will accept it and transform itself to match the positive message you are sending… and then the Aura will project it’s new and improved state to the physical body. It’s no wonder that in the medical community, the word “intention” means “the healing process of a wound”. Your Healing Intention tells the Aura what form it should take. Because the next steps in the LEO System rely on your Healing Intentions, getting them right will boost the effectiveness of your healing throughout the rest of the system. What would your life be like if you didn’t suffer from a particular symptom? This is the question you should ask yourself, and then visualize the answer. By visualizing yourself as healed, you are creating a vivid image in your mind of your Healing Intention. The key here is to visualize the improved state. So, for example, if you have an injured leg you do not want to go into your healing session focusing on the injury of the leg. Instead, choose to visualize positivity, like going out dancing with your friends or significant other and your leg feeling great. 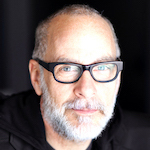 Another way to do it is to visualize the injury repairing itself… the tissue being healed and the pain going away. Like a tuning fork, Reiki Sacred Symbols help you tune yourself to certain higher level frequencies so you can access more advanced abilities. Because they have been used for generations, Reiki Symbols are imbibed with the energy of a great many healers throughout time. Choose the symbols you want to activate based on which abilities you desire to use. For example — the Mental & Emotional Symbol for removing an addiction. 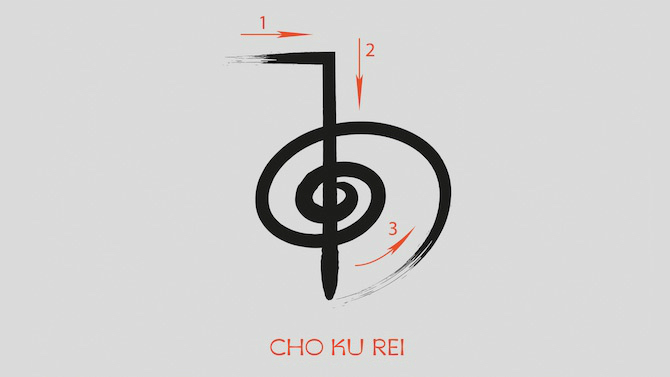 Power Symbol (Cho Ku Rei) — This is a powerful symbol used to amplify healing energy — provide spiritual protection — infuse food with energy — and empower the other symbols. 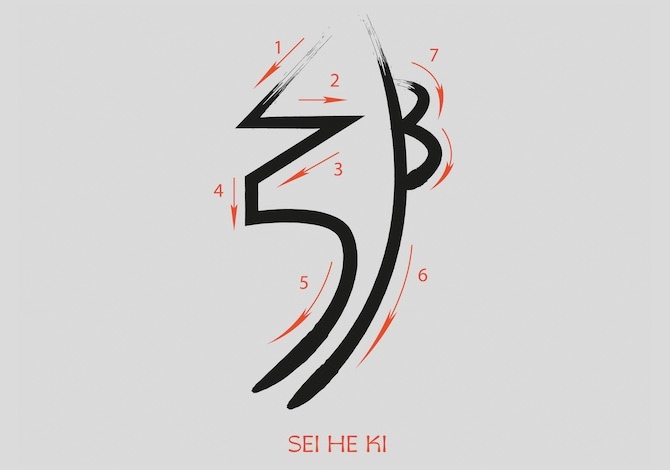 Mental & Emotional Symbol (Sei He Ki) — This symbol is tuned to the ultimate energies of Love and Wellbeing and is used for calming and restoring mental and emotional states — removing addictions — and releasing negative energies. 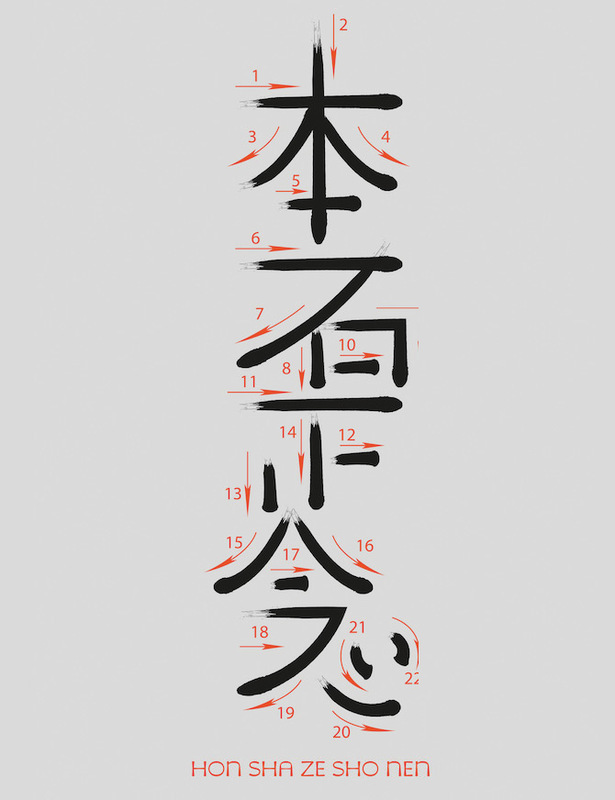 Distance Symbol (Hon Sha Ze Sho Nen) — This is the unifying symbol of Enlightenment and Peace, used to send healing energy over distance and time to anyone in the past, present, or future — and to send distance Attunements. 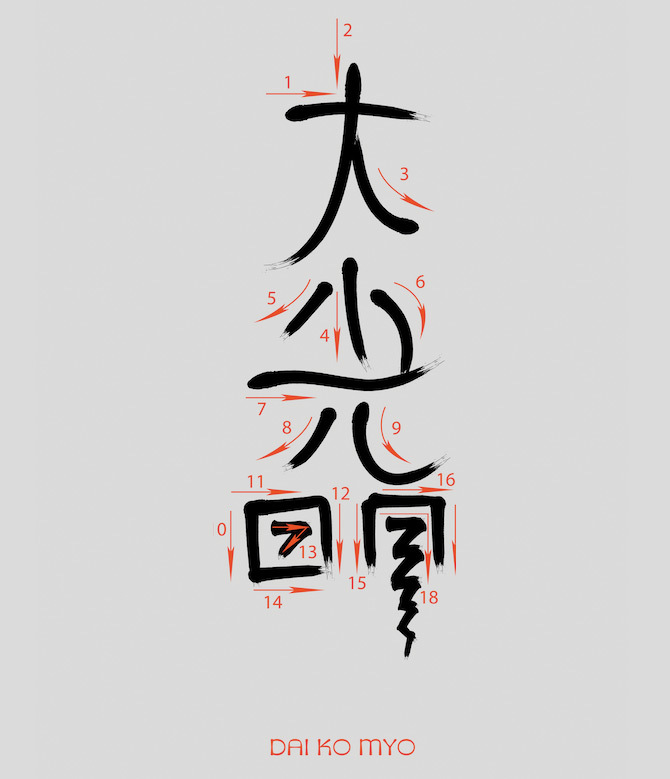 Master Symbol (Dai Ko Myo) — This is the most powerful symbol in Reiki, used by Reiki Masters to heal the Soul — heal illness and disease in the Aura — and create wondrous life changes. Remember Above All — Everything in the LEO system works together to harness transformational Lifeforce Energy to change your life and the lives of others for the better. No matter where you are right now, you will be surprised at how quickly and dramatically the Reiki Symbols can manifest changes in you. Do you suffer from addictions to food, drugs or alcohol? Are you in constant physical or emotional pain? Is your environment surrounded by negativity? Do you go through the day feeling drained and uninspired? 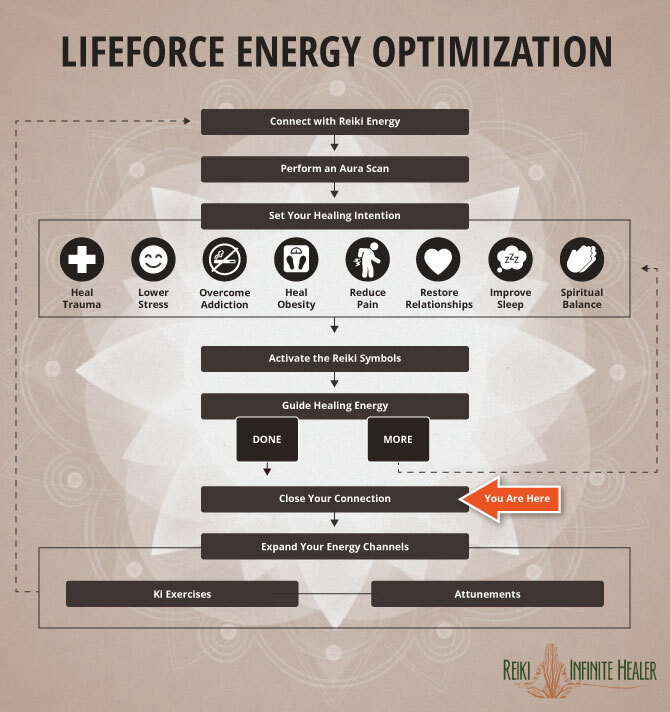 All of that can change as you begin to allow the universal Lifeforce Energy into your life. Be grateful. You are on the path now. If you’ve been feeling hopeless, feel hope now. You’ve may be aware that as a healer you can use “hand positions” to guide energy into the Aura and Chakras to heal. 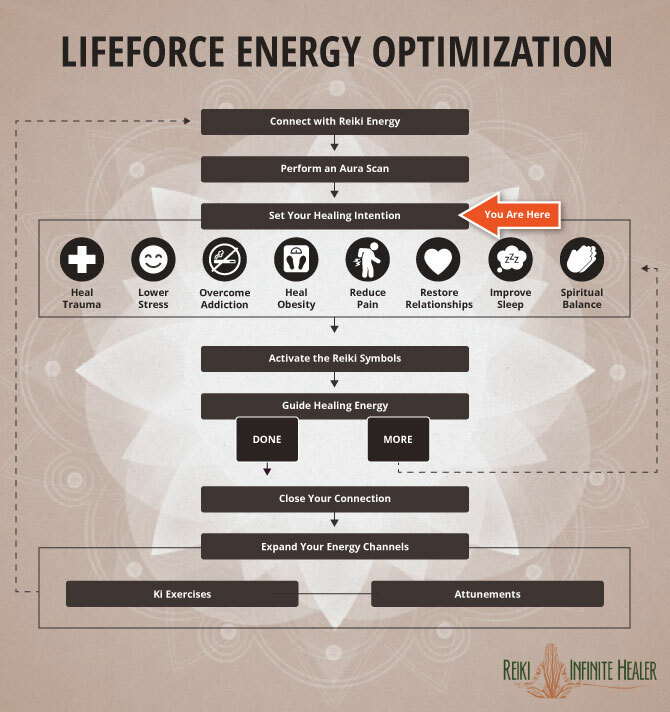 After all, those steps lay the foundation for your healing session so that you channel as much energy as possible and use it for the right purpose. 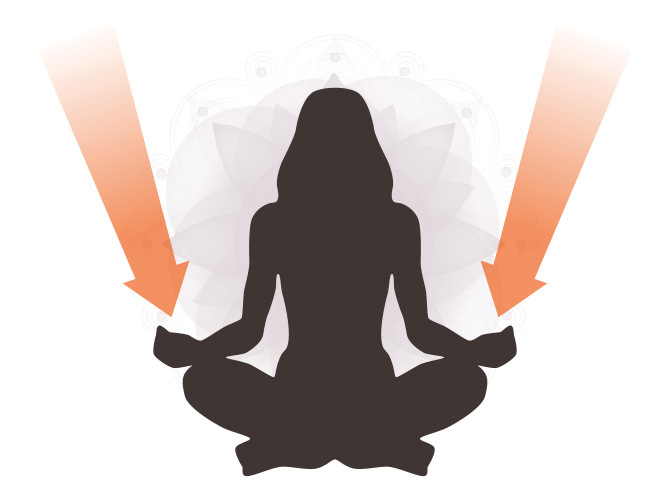 In some cases you may be able to achieve small amounts of healing with a weak energy connection and some hand positions. But you could experience so much more. If you follow through on the LEO system you can harness the full potential of Reiki and allow it to manifest profound changes in your well-being. Again, this is how you become a true Reiki Master. You use a system which aids you in realizing your maximum potential as a healer. These are very effective ways to guide healing energy. In step 3 when you set your Healing Intentions, you form a message to send to the Aura about what positive changes you want it to make. Now is the time when you transmit that message to the Aura. You do this by guiding the Universal Energy using your will. We can show you how to do this, but remember… it is only one part of a greater system. If you discovered multiple issues during the Aura scan, you can go back and repeat steps three through six (Set Your Healing Intention, Activate the Reiki Symbols, and Guide Healing Energy), until you have treated each issue. DO NOT end your session without doing this. Have you ever heard a Reiki Healer say something like they absorb the negative emotions of their patient, or they don’t feel well after a session? This is because the negative energies you are treating can get detached from the Chakras or Aura and get stuck in your system. You must release these negative energies from your body so that you can go about your day in a heightened state of energy. 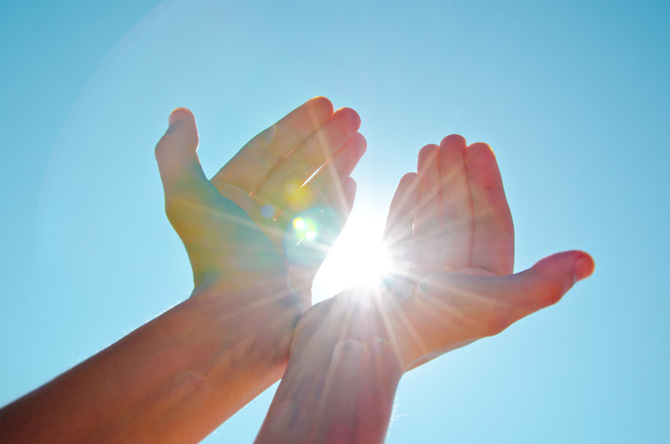 The best way to close your connection with Reiki energy is to visualize it flushing out of your body through your palms and cleansing your system. This will wash away any negative energy still in your system and bring you back to your normal physical state of consciousness. Finish by washing your hands in cold water to purify them and remove any residual energies that are still clinging to them. Remember, do not attach yourself to the outcome of the healing session. Have faith that the energy has done… and will continue doing what it can. If you followed the LEO system, then you have done your part as the conduit for Healing Energy. You can perform more advanced techniques (e.g. distance healing). These are meditations where you practice cycling energy through your system. They open your Chakras so that you can allow more Reiki Energy to enter your body and be channeled for healing. Attuning is when you become in harmony or “at one” with something. 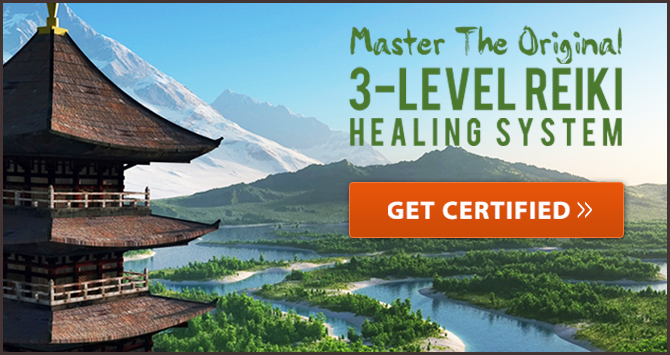 This is the primary way to advance from one level of Reiki to the next. 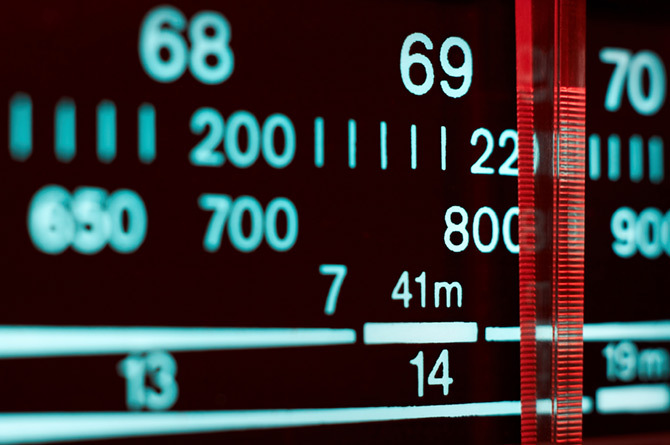 Think of it as a radio dial… you must turn it to a certain frequency to tune into a station. Everyone has the ability to perform basic Reiki Healing, but you must become attuned to higher levels of reality to perform more advanced techniques. There is a huge misconception about Attunements that has been floating around in the Reiki community. I hate to say it but… the reality is some “Reiki Masters” want you to believe you need to be attuned in person by a Master. This misconception actually goes back to the days before Dr. Usui founded Reiki. It began as a requirement in a certain branch of Buddhism that a Novice must receive an Attunement from a Master in order to use special abilities. The reason was that the “Masters” wanted power and to control who was and wasn’t allowed to use their system. In reality, many people have attuned to Buddhism and Reiki on their own or via distance Attunements. So — whatever way you choose to attune is fine and totally up to you. Reiki is a gift for everyone and you do not need anyone’s permission to use it. In fact, many healers claim to have a more spiritual experience when they Self Attune because they connect directly to the Reiki frequency without anyone else in between. And we show you exactly how to do that in our Reiki Infinite Healer Home Course… but unfortunately it’s far too involved to reveal all the mysteries of Reiki here. The single most important thing you can do right now is to start practicing the LEO system. You see — even though this article gives a fairly comprehensive outline of the system it barely scratches the surface. 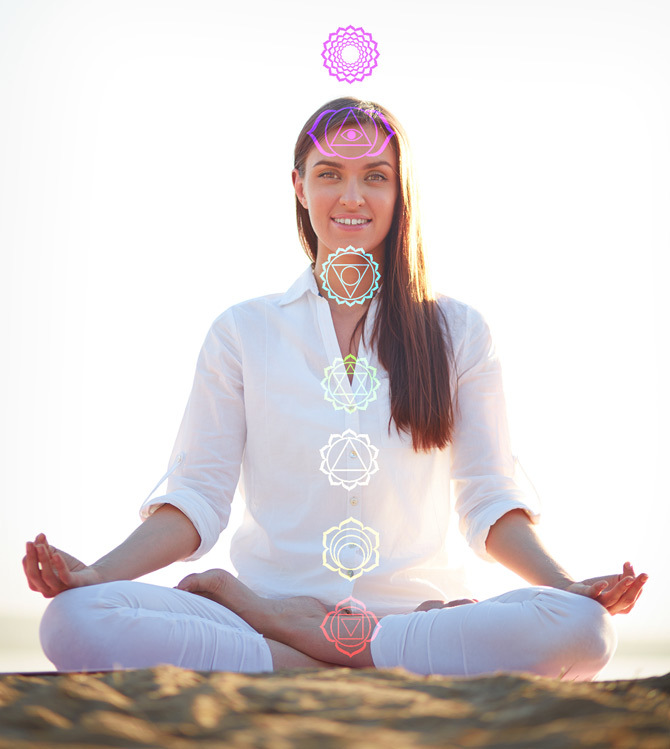 We haven’t even gone into the study of Chakras — the power centers of your energy system. We have barely touched on the mysteries of Reiki Symbols which, when fully harnessed can multiply your healing exponentially. And, we’ve only introduced some of the most important practices for channeling energy — raising your consciousness and opening your Chakras. … you can access the Reiki Infinite Healer home study course by clicking here. I only wish there was something like the Reiki Infinite Healing home study course when I began. In fact, no one ever mentioned that Mikao Usui’s method was so complete and streamlined that it allowed him to heal others by himself without the benefit of in-person instruction. At first I struggled to grasp the idea that Reiki could be learned without in-person instruction because that was how I learned. But, after witnessing first-hand, students who used the simplified version of the original manuscript distilled to its most essential parts, and how quickly they were developing I was shocked. Here were students learning on their own and progressing in their ability to heal faster, and with less effort than many of my in-person students. The beauty is, once you understand the original system, the energy and spirit will guide you to deeper levels of understanding and healing power. Many people tell me how much more relaxed they feel studying from the comfort of home. Even though Reiki Healing is meant to be natural, one-on-one sessions can make some feel a pressure to perform or “get it”. All of this pressure is removed when you are able to discover, understand and apply the principles of Reiki at your own pace and from your own place. Now is the time to discover true happiness that comes from alignment with your higher self. You know yourself best. If you want to begin experiencing all of the wondrous benefits of Reiki Healing don’t wait. Now is the time to embark on one of the most profoundly healing, life altering journeys. Define your existence with Reiki Infinite Healer.